Anyone who reads Amy & Angie probably already knows that the Vintage Heaven sale was this past weekend. You know, since I’ve been going on about it forever. It was a very successful event! Twelve local vendors participated and I’m already looking forward to next month’s sale. Me manning my booth. Isn’t it pretty?? A bunch of my favorite pieces got scooped up right away. 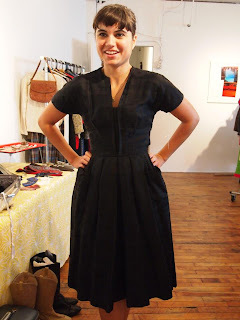 I also got to finally see some of my favorite dresses on actual people…yay! one of my favorite dresses. trying on her Amy & Angie purchase. Now that the October sale is over with, I’ll finally be updating my shop this week. It’s been a long time coming, so look forward to some really good pieces making their way in there. That’s it for now, but check back later in the week for my latest finds! The past several weeks have been spent making sure my shop is fully stocked for this weekend’s big sale. I try my bet to include small tips from time to time on the best places to look for vintage, but though it was high time I devoted a whole post to it. One of my many estate sale finds. By far my favorite place to find vintage clothes is at estate sales. I use EstateSales.net to find the best sales in my area. Usually, I’ll devote an entire day to estate sale-ing and will be prepared for lots of driving. Fair warning though: estate sales can get dirty. Like, allergy-inducing, makes-you-want-to-bathe-100-times dirty. But it’s usually worth it. I’ve discovered decades of dresses, shoes and jewelry at these sales. All they need is a little tlc and you’ve got some great treasures! Sometimes I’ll leave a sale empty-handed, but it’s always educational. I usually chat up the owner of the estate sale company. If I’m lucky, they’ll tell me the history of the person who used to live in the house, or point me in the direction of cool jewelry bin that I missed. The easiest places to find vintage clothes and accessories are thrift stores. Generally speaking, the stuff I find at thrift stores is not as old as the stuff I find at estate sales (think 1970s and 1980s instead of 1950s). This isn’t alway true though. 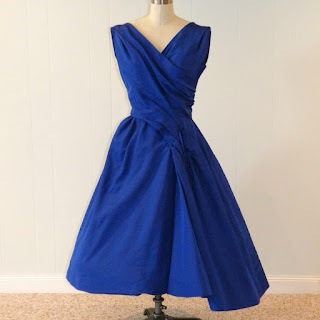 If I’ve arrived at a store just as new items go out, or find a really well-hidden dress, I can sometimes find really old pieces at thrift stores. My favorite thrift stores are the non-chain ones. You know, the ones a town church will run or maybe one that benefits a women’s shelter. They are usually less picked through and have very reasonable prices. After that, I really enjoy Goodwill and The Salvation Army. Their prices are comparable, though Goodwills are generally much, much cleaner. If you feel like digging, go to a Salvation Army. I rarely run across them, but when I do I really like stopping at St. Vincent de Paul thrift stores. I’ve only been to a few, but the ones I have visited had a really nice selection and very good prices. My best tip for vintage shopping at thrift stores is to be aware of the sale days. Most chain stores (and sometimes even the smaller stores) will have weekly sales. slip is from an antique store. look out for some garage sales. 50 cents for a necklace, guys. offer unique pieces at fair prices. If you’ve been eyeing an antique store but are nervous about the prices, I’d say go in and look, because you might be surprised. This was a busy, busy week. My alma mater’s homecoming was last week, so I took some time to go back and visit with old friends…and hit up some of my favorite thrift and antique stores from college. I found this beautiful 1940s slip at my favorite (and kind of secret) antique store. The detail is hand painted! I’ve never seen anything like this before. He also polished them up and got them very close to their original condition. Yes!! Amazing dress that makes me wish it was early summer. The best halter ever. Sorry duckies. And then I went sweater-crazy at a thrift store. Don’t worry though, all this (plus the things I didn’t even show you…I know…) will be at the Vintage Heaven sale on Saturday and Sunday! Until then, I think I need to steer clear of thrift stores! 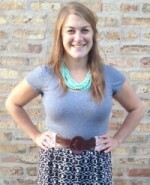 Amy & Angie Vintage will be making its in-person sale debut next weekend! I will be participating in Vintage Heaven’s October and November sales with many other very talented ladies. The sale will take place on the second floor of the Heaven Gallery at 1550 W. Milwaukee Ave. in Wicker Park. I’ll be there October 13 & 14 as well as November 17 & 18. The sale goes from noon to 6 p.m. on all days. I hope some of you can make it out to see me and all these other wonderful shops! Another easy (and fun!) way to help identify when an item was made is to make note of any notions on the garment. “Notions” is a sewing term that refers to any small object that is affixed to the final product. This can include anything from buttons and zippers to bias tape and snaps. Before the 1930s, snaps were the most common closure tool, in combination with hook-and-eye closures. 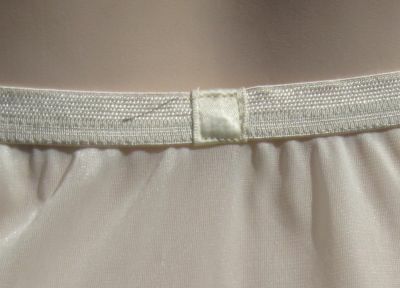 An example of snap closures used on a blouse. When zippers were widely introduced in the late 1930s/early 1940s, usually only metal zippers were used until the late 1960s/early 1970s. Remember the zipper fix I did on this dress? It was a metal zipper. If you find a vintage garment with a metal zipper, you may be looking at something from the 1960s or earlier. A metal zipper on a 1960s dress. Another way help you identify an item’s age is the use of elastic. Elastic was not widely used in garments until the 1940s, though it was invented much earlier than that. Up until the 1970s, many companies sewed “pillow tabs” over where the elastic pieces met to prevent chaffing. 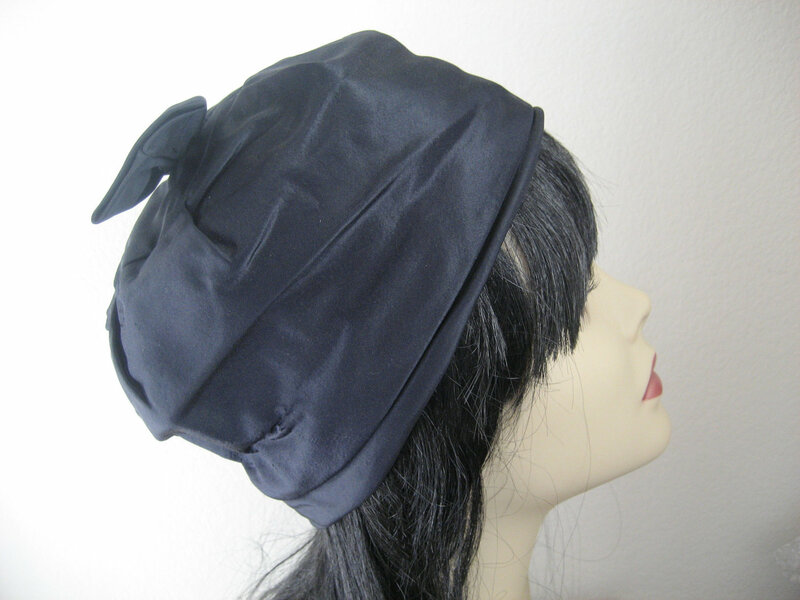 There are so many different kinds of notions that can be used on a garment that I could go on forever about it. Which is why I’ll include a part two on notions down the road a bit. Keep in mind that you need to look at the entire piece when dating vintage clothes. Using these new guidelines on notions with the tips on dating seams from last week will give you a good shot to dating a piece accurately. I had a very exciting week that motivated me to stock up on vintage pieces as best I could. The surprise will have to wait until later in the week, but it’s a good one, guys! Until then, here’s the pretty, pretty pieces I found. My wonderful friend Maggie gave me this butter colored coat the other day. Isn’t that so nice? This girl has the best closest I have ever seen– it’s full of the coolest vintage clothes you could ever imagine! I also stopped by the Salvation Army and found these. Isn’t this dress amazing? Not sure I could pull it off, but I know a few of my friends it would great on! And this fun dress from the 1970s with a lace top. The pink ribbon on this dress is just one of the many clues that I need to get my iron out. Or, as it were, buy an iron. That coat is my favorite find of the week! It’s super soft and not at all itchy. Best of all? The original silk lining is in perfect condition. Can’t wait to fill you in on my surprise later in the week! What did you guys find this week? I’ve been getting a lot of questions lately about how I date the vintage clothes I find. While I am by no standards an expert, I have been getting much better. Over the next several weeks, I’ll share some tips on how I know when I’ve found something good. First up is seams. The seams of a garment are where my eyes go first when I pick up a piece of clothing. Depending on the kind of seam, you can easily narrow down when the clothing was made. In the first photo, notice how the edges are cut into. This is called pinking and was a popular sewing method for seams in the 1950s. Finding a garment with pinked edges is usually a sure sign the item is from the 1950s. 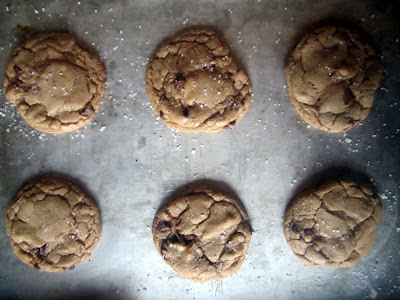 In the second photo, you can see an example of a serged seam. Serging, or overlocking, is a type of seam finish that actually cuts the fabric and leaves overcast stitches to prevent unraveling. Machines commonly referred to as “sergers” are used to do this. While the method of serging was invented in the late 1800s, it was very rare for it to be widely used on garments until the mid 1960s. Finding a piece of clothing with serged seams lets me know it’s probably from the 1960s or later. The last photo is one of just simply stitched seams. 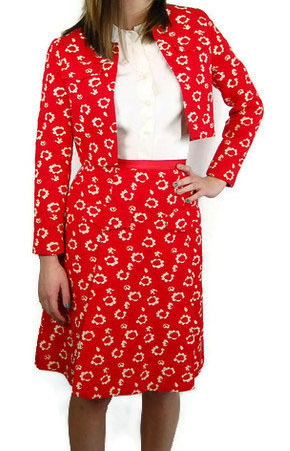 While I am less familiar with dating clothes with these seams, it can be an indication that the item is pre-1950s. The red and white blouse pictured above is from the 1930s, well before sergers were commonly used. Last week was a busy one for me, so I only had a chance to get out to shop a few times. Some weeks I’m definitely luckier than others, and this week I only walked away with a few treasures. I’m really loving this dress. Just look at how lovely the buttons are with that print! I also scooped up these Pyrex mixing bowls. Partly for my Ms. Fix It tutorial, but also because they’re kitchy and fun. But my question for you is: should I keep them? I love the dress and I love the bowls, but I’m trying my best to stop myself from wanting to keep all the beautiful things I find. It can be really difficult! What would you do? What are some of the great things you found this weekend?